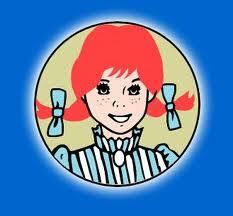 And Wendy's and I...we have an interesting relationship. I might love it (her?). Would you like the whole sad story, or just the abbreviated version? My love affair with the Number One No Pickles and a Diet Coke began in my second year of university, and has continued into my professional career - with a brief hiatus for the two years we lived in downtown Toronto - until I left the bank for my maternity leave with Jr. When I came back, it was to a different branch, and the closest Wendy's is a solid half hour away. At each of the Wendy's that I've called home, they would start getting my lunch order ready as soon as they saw me. That, my friends, is true love and devotion. Let's forget all the health-y nutritional-y boring business that I know you're all thinking (you too, Mom. I know you didn't stop reading) and get down to brass tacks: eating out for lunch at work is expensive. And the only thing more appetizing than Number One No Pickles and a Diet Coke is Not Spending Money. Not having a Wendy's within half an hour of work is pretty effective, but if I don't look forward to my lunch, I'm not a very happy girl. Veggies & peanut butter, watermelon, and cottage cheese with onions and pepper (oh, stop gagging. It's delicious.) is a lunch I can look forward to.